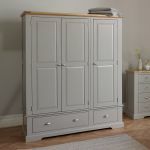 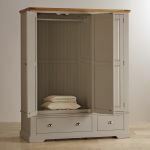 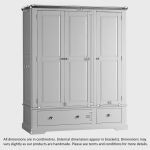 A really substantial and sturdy grey wardrobe, built with Oak Furniture Land’s attention to detail and design. 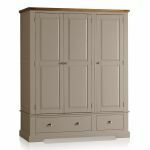 The St Ives triple wardrobe has ample hanging space in the two separate cupboards, and the three deep drawers beneath are ideal for storing shoes and accessories. 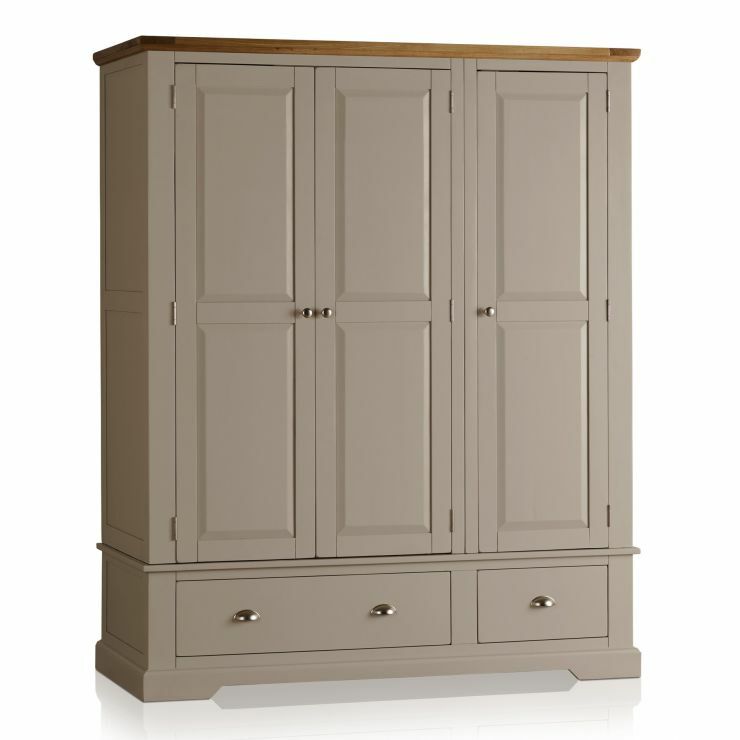 The modern painted finish of this grey wardrobe adds a modern touch to a room, and can be placed with other pieces from the St Ives collection. 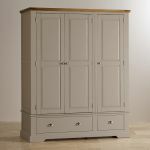 Strength is built into the design with the sturdy bracket feet, and solid wood backs, sides, and bases of the drawers.